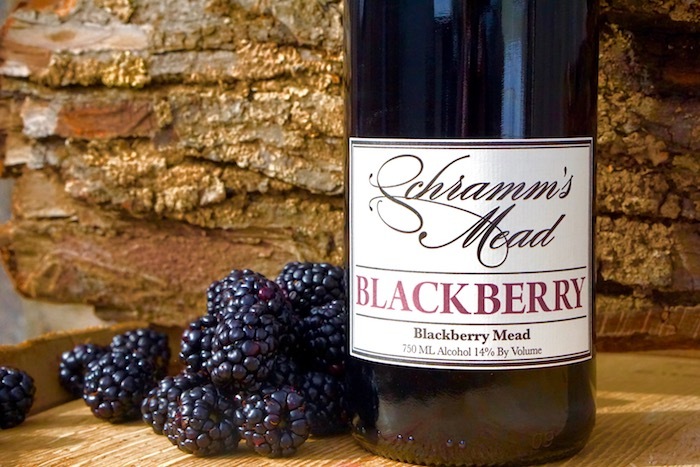 This earthy, brightly acidic mead balances the lingering tartness of whole blackberries and Orange Blossom honey. Intensely fruity with balanced acidity, a complex flavor profile and an earthy aroma, this mead is reminiscent of picking fruit on a mid-summer day. A strong option for the cellar, blackberry will continue to mature and develop in the bottle for years. Blackberry pairs well with creamy cheeses, duck, and veal.